Observing The Night Sky Revision Questions. 1. What is Declination (Dec)? If we imagine the Earth at the centre of a giant celestial sphere, declination is almost identical to Latitude. It is a projection of latitude onto the sphere. It is the angle of a point above the celestial equator. The Declination of a star never changes! 2. What is Right Ascension? The RA of a star is the angle between it and the celestial prime meridian. It is measured in hours and minutes. Click here for an interactive demonstration of the celestial sphere. 3. 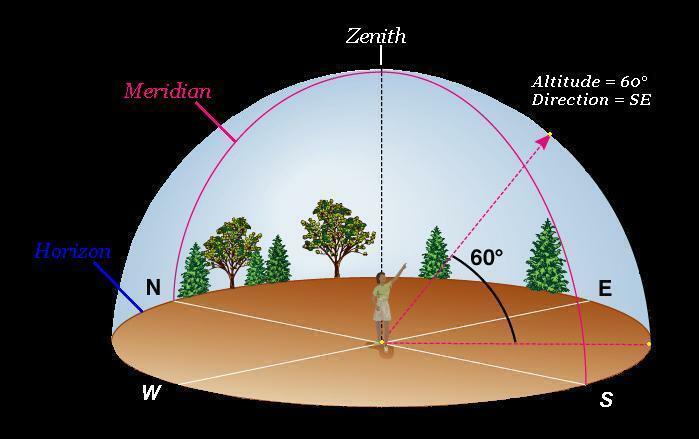 What is the Celestial Prime Meridian? This is the point on the celestial equator on which the sun moves from the southern to the northern hemisphere. 4. What is the Zodiacal Band? This is the part of the sky that contains the constellations of the zodiac and is the region in which the planets and Moon are located. It straddles the Ecliptic by 8 degrees on either side. 5. How do you find your latitude using Polaris? 6. Which way do stars appear to rotate about Polaris? 7. How can we determine if a star will be circumpolar using the observer’s latitude and the star’s declination? 8. What is a circumpolar star? This is a star that does not set. It is above the observer’s horizon all the time. Which stars are circumpolar depends on the observer’s horizon. 9. Explain how a star will be circumpolar from a given latitude so long as the declination is > 90 -latitude. My latitude is 52 degrees. 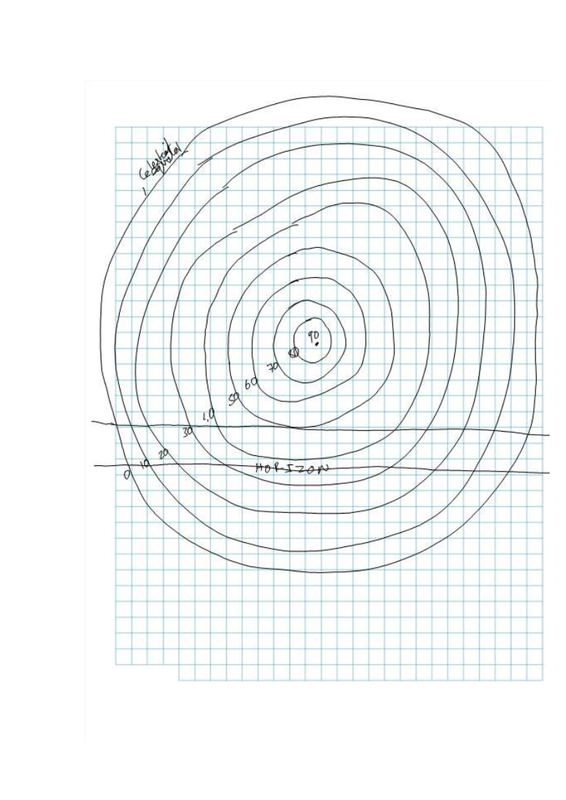 Therefore any stare with a declination >38 degrees will be circumpolar. The diagram below explains this further. 10. Name 4 considerations when planning an observation. Visibility of a planet, Messier/comet. Does not have such an adverse effect on dark adapted eyes. 11. What else is ideal for observing stars? 12. Who was Charles Messier? Compiled a list of 110 “fuzzy” objects in the sky. RSS Error: A feed could not be found at http://www.nasa.gov/rss/lg_image_of_the_day.rss. A feed with an invalid mime type may fall victim to this error, or SimplePie was unable to auto-discover it.. Use force_feed() if you are certain this URL is a real feed.